-Simple and very effective design. 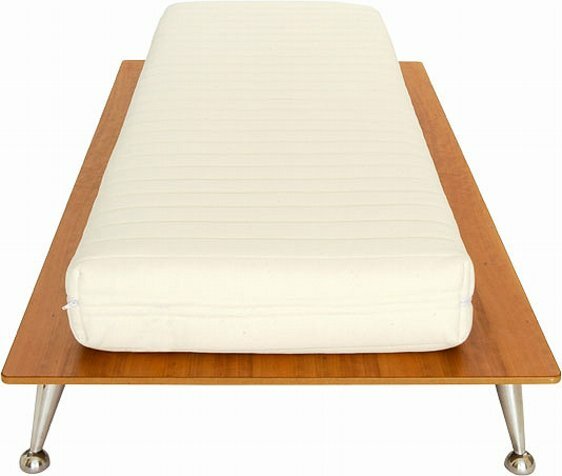 The mattress lies on a single piece of veneered material, which is lacquered in polyurethane. -The base is routed to allow ample breathing for the mattress. -Support by six cast and chromed legs. The bed as shown is priced at £525.00. This does not include a mattress. We have other mattress options for single beds, so please talk to us 020 7237 1062. The bed can be made in any veneer.